Do you ever wonder where your money goes each month? Does it seem like you’re never able to get ahead? If so, you may want to establish a budget to help you keep track of how you spend your money and help you reach your financial goals. Before you establish a budget, you should examine your financial goals. Start by making a list of your short-term goals (e.g., new car, vacation) and your long-term goals (e.g., your child’s college education, retirement). Next, ask yourself: How important is it for me to achieve this goal? How much will I need to save? Armed with a clear picture of your goals, you can work toward establishing a budget that can help you reach them. To develop a budget that is appropriate for your lifestyle, you’ll need to identify your current monthly income and expenses. You can jot the information down with a pen and paper, or you can use one of the many software programs available that are designed specifically for this purpose. Start by adding up all of your income. In addition to your regular salary and wages, be sure to include other types of income, such as dividends, interest, and child support. Next, add up all of your expenses. To see where you have a choice in your spending, it helps to divide them into two categories: fixed expenses (e.g., housing, food, clothing, transportation) and discretionary expenses (e.g., entertainment, vacations, hobbies). You’ll also want to make sure that you have identified any out-of-pattern expenses, such as holiday gifts, car maintenance, home repair, and so on. To make sure that you’re not forgetting anything, it may help to look through canceled checks, credit card bills, and other receipts from the past year. 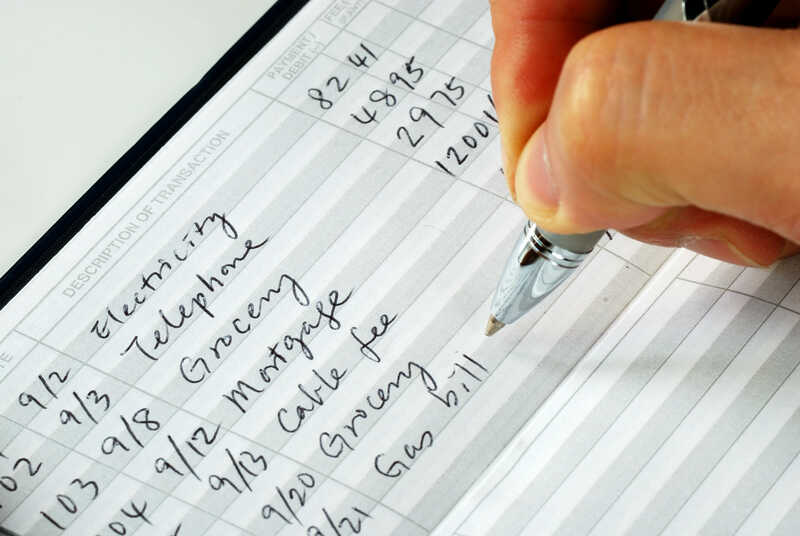 Finally, as you list your expenses, it is important to remember your financial goals. Whenever possible, treat your goals as expenses and contribute toward them regularly. Once you’ve added up all of your income and expenses, compare the two totals. To get ahead, you should be spending less than you earn. If this is the case, you’re on the right track, and you need to look at how well you use your extra income. If you find yourself spending more than you earn, you’ll need to make some adjustments. Look at your expenses closely and cut down on your discretionary spending. And remember, if you do find yourself coming up short, don’t worry! All it will take is some determination and a little self-discipline, and you’ll eventually get it right. You’ll need to monitor your budget periodically and make changes when necessary. But keep in mind that you don’t have to keep track of every penny that you spend. In fact, the less record keeping you have to do, the easier it will be to stick to your budget. Above all, be flexible. Any budget that is too rigid is likely to fail. So be prepared for the unexpected (e.g., leaky roof, failed car transmission). Avoid using credit cards to pay for everyday expenses: It may seem like you’re spending less, but your credit card debt will continue to increase. To learn more about how Patriot can help you get more out of your banking, visit one of our branches or check out our website.